On a weekday I decided to take my last day of vacation and head over to WV, to see what was happening. 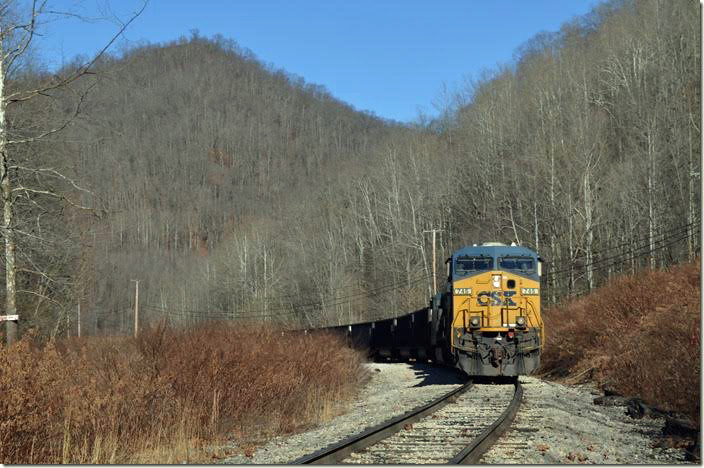 At Peach Creek, westbound coal train T207-26 was getting ready to leave. 1. 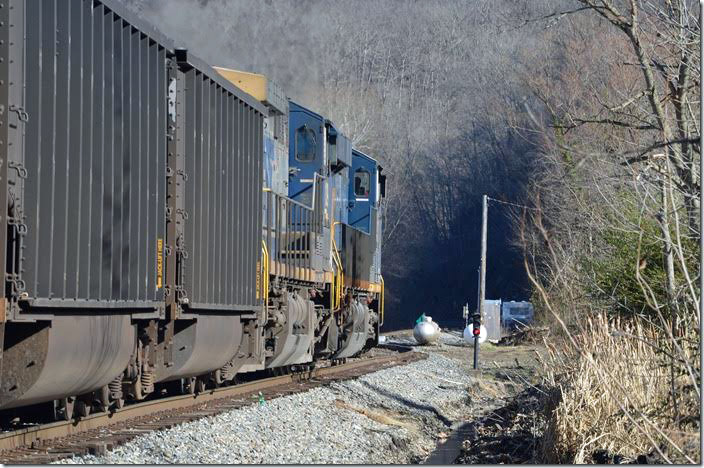 CSX 3107-139 on Track 1 cuts off several loaded hoppers and sets them over to Track 2 leaving one. That dwarf never displayed anything but red! 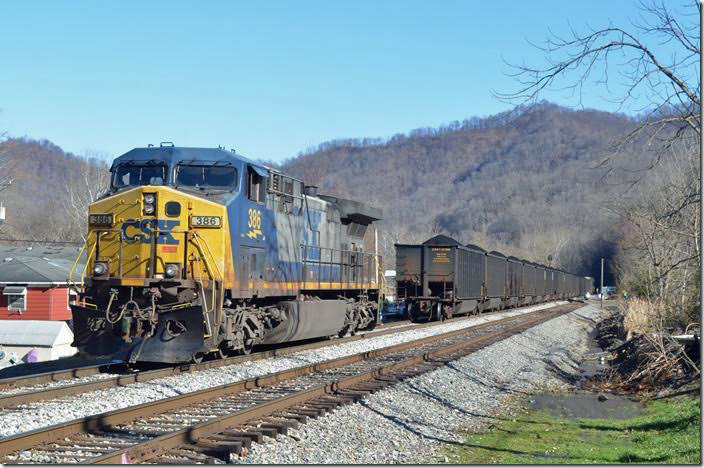 CSX 3107-139. Henlawson WV. 2. 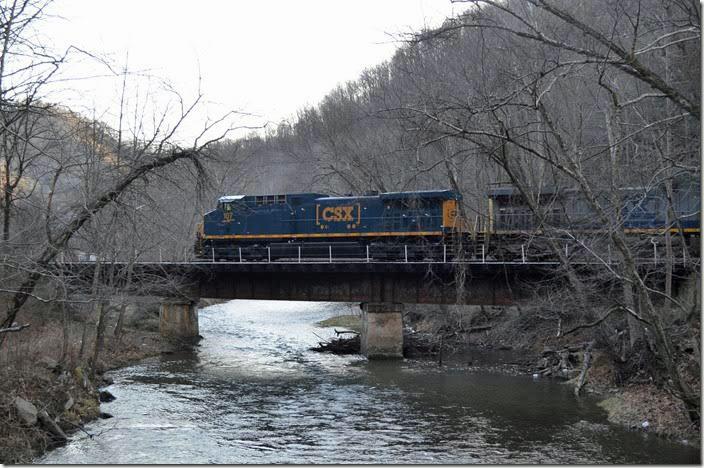 CSX 386. Henlawson WV. 3. CSX 386. Henlawson WV. View 2. 4. CSX Engine 386 grabbed this one tub off T207-26. Maybe it was a bad order. Henlawson WV. View 3. 5. C&O abandoned bridge 03 on the abandoned Merrill Subdivision over Little Buffalo Creek at the entrance to Chief Logan State Park. Henlawson WV. 6. Looking up the abandoned roadbed of the Merrill Subdivision. 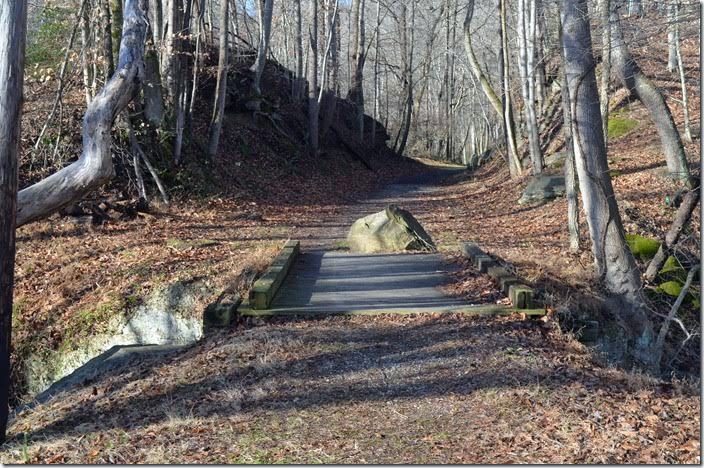 I suppose this is a walking trail now. 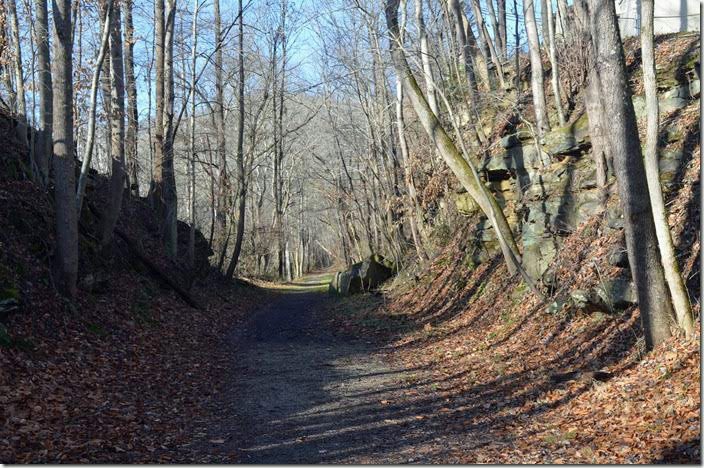 C&O abandoned roadbed. Henlawson WV. 7. Cut just east of the bridge. C&O abandoned branch. Henlawson SD. 8. K-4 2755 was probably the last movement on the Merrill Subdivision. 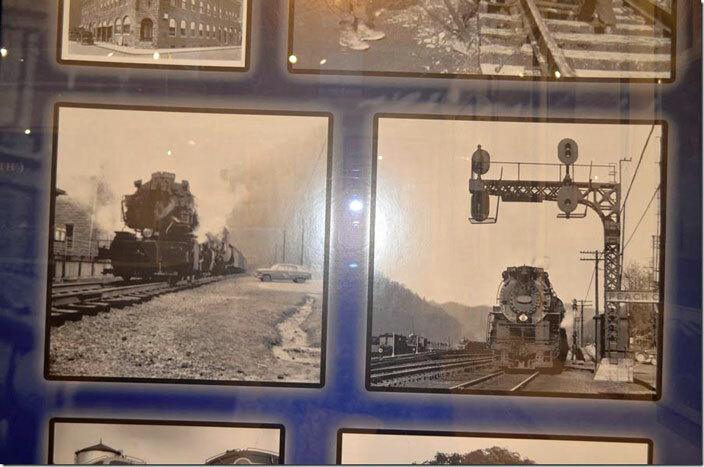 C&O 2755. 9. C&O 2755 and plaque. View 2. 10. The engine is in good cosmetic shape. This is probably due to the chain link fence. 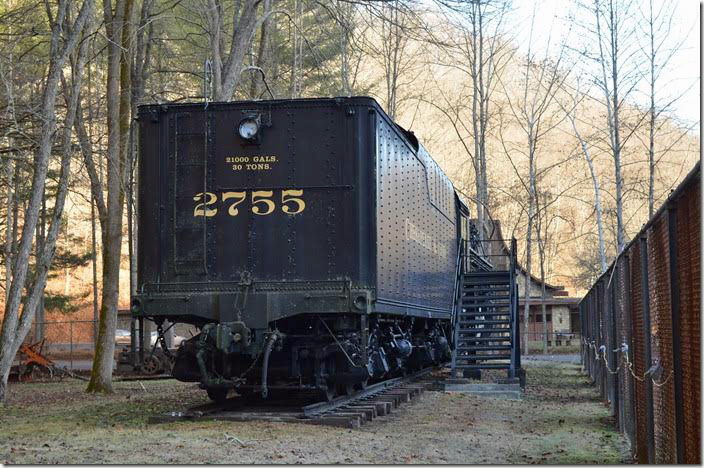 C&O 2755. View 3. 11. 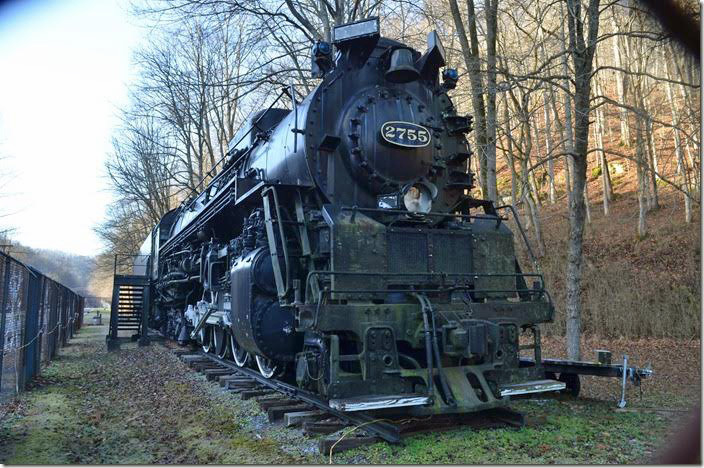 C&O 2755. View 4. 12. 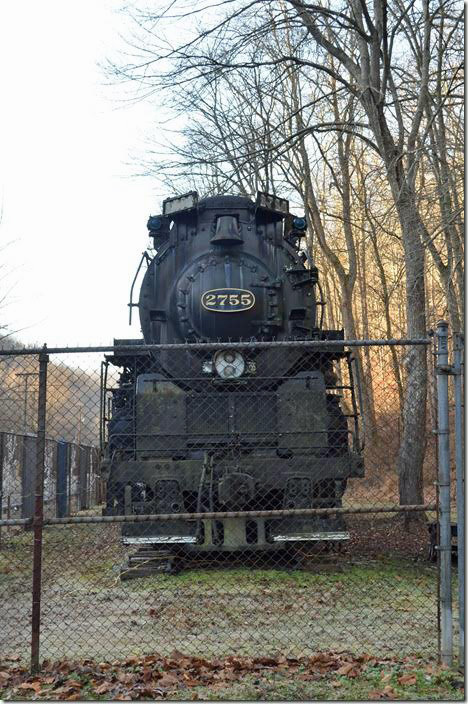 C&O 2755. Coal tender. View 5. 13. 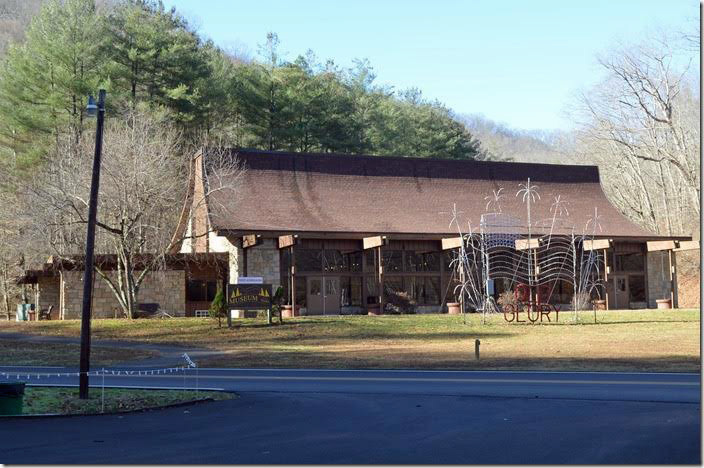 The museum at Chief Logan State Park. 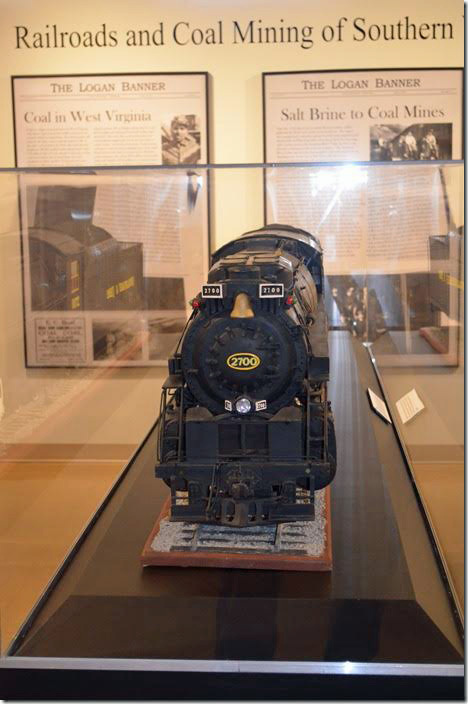 I decided to go in for a visit, as that would be more educational and enlightening than chasing more AC locomotives. Chief Logan Park museum. 14. 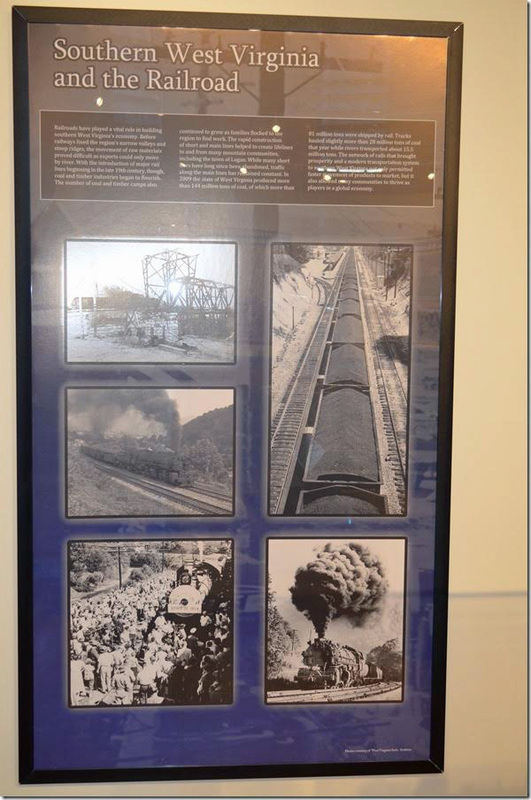 The museum has a good section on the coal and railroad history of the county. Dehue...A Special Place. 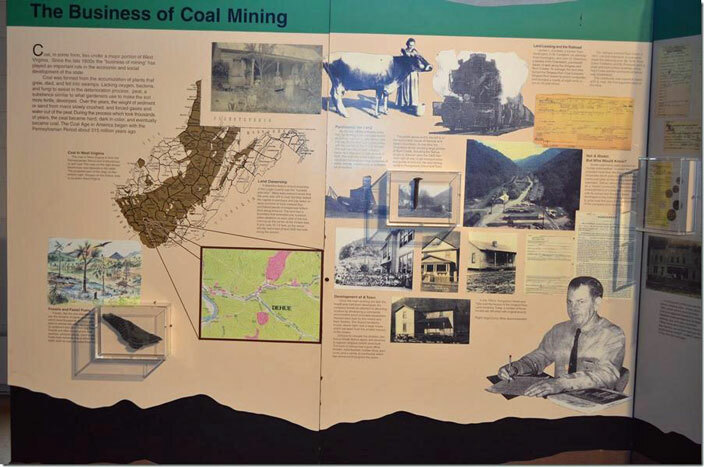 The Business of Coal Mining. 15. Dehue...A Special Place. Tipple. Poster 2. 16. Dehue...A Special Place. 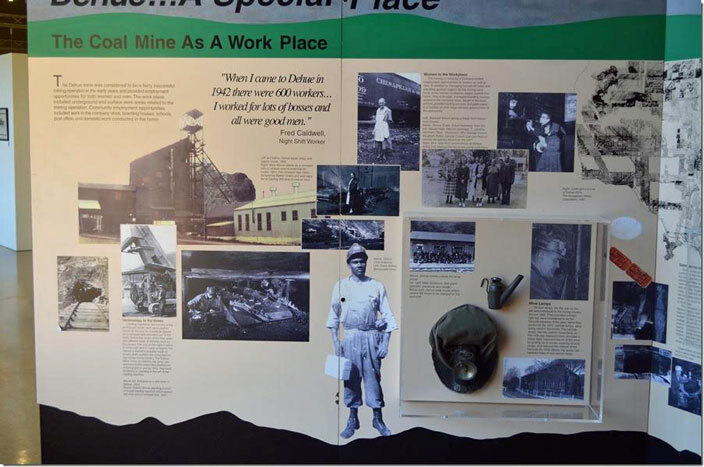 The Coal Mine As A Place To Work. Poster 3. 17. Dehue...A Special Place. 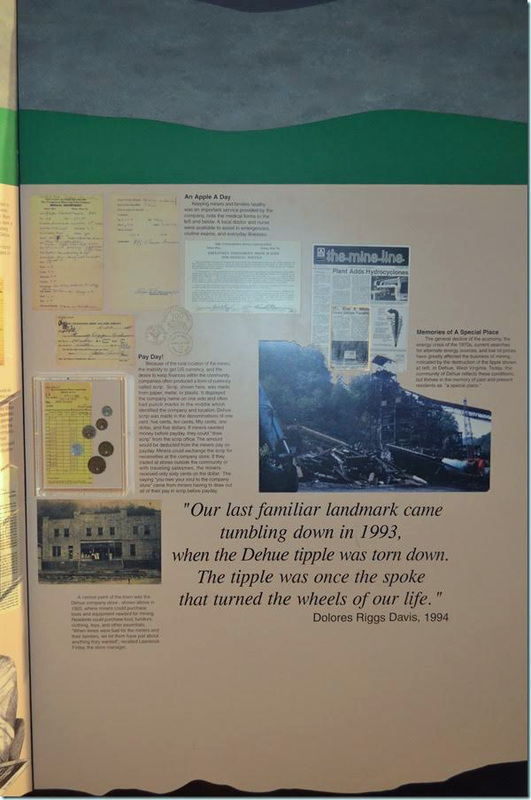 Dingess-Rum Coal company. Poster 4. 18. 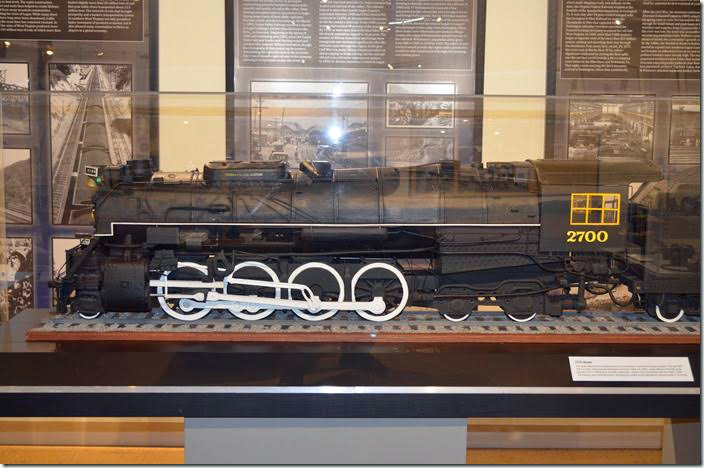 C&O 2700 model display. 19. 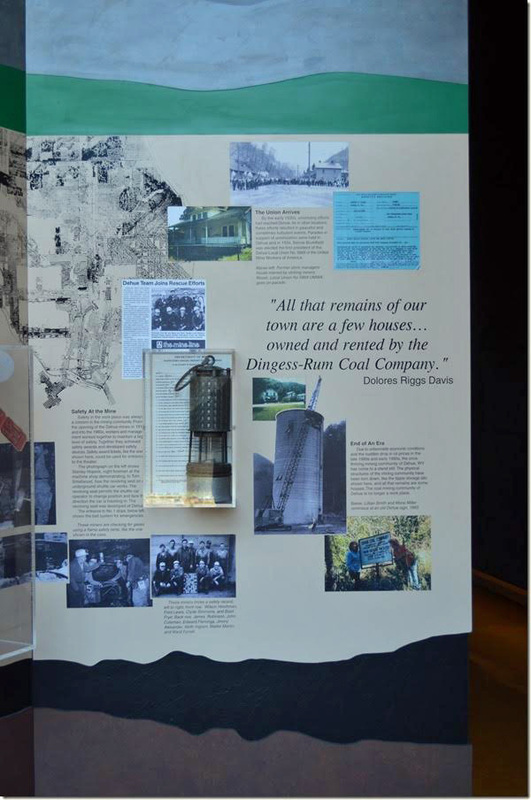 C&O 2700 display information. View 2. 20. 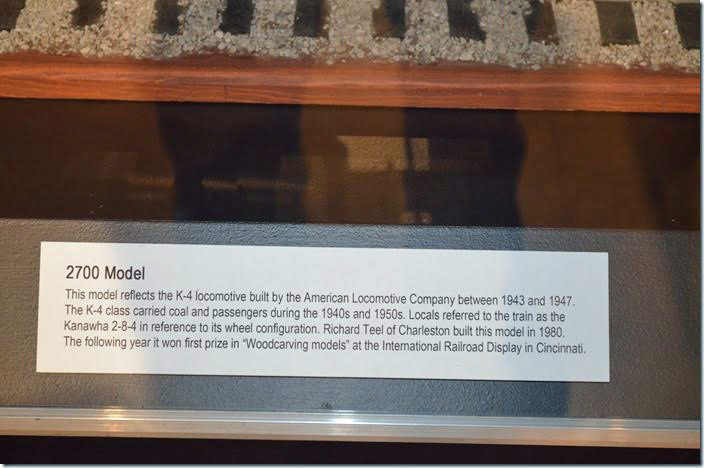 C&O 2700 mopdel display. View 3. 21. 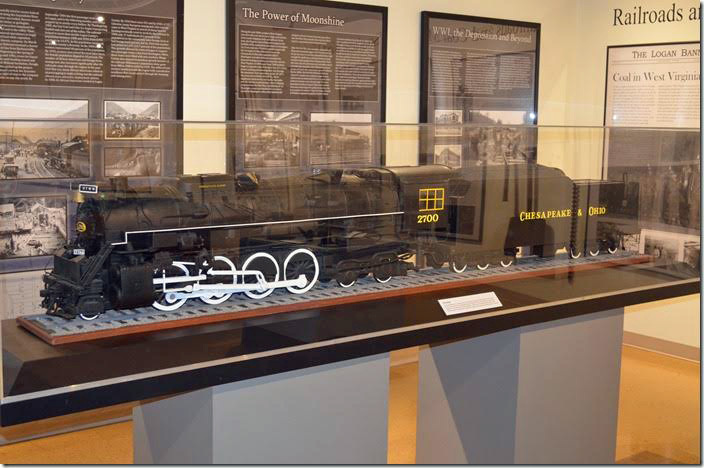 C&O 2700 model display. View 4. 22. 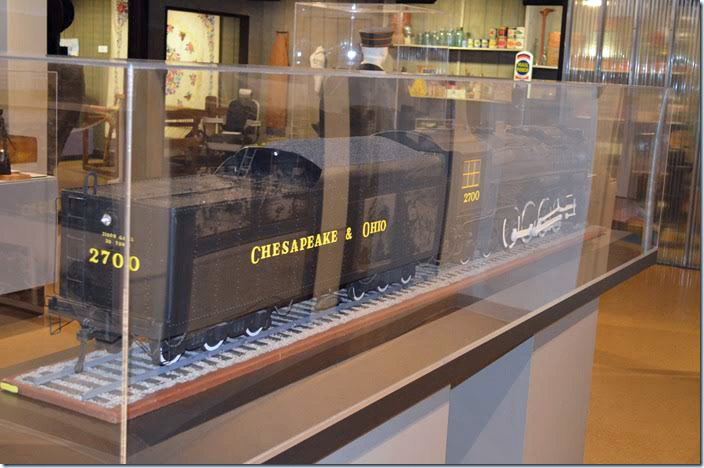 C&O 2700 model display. View 5. 23. 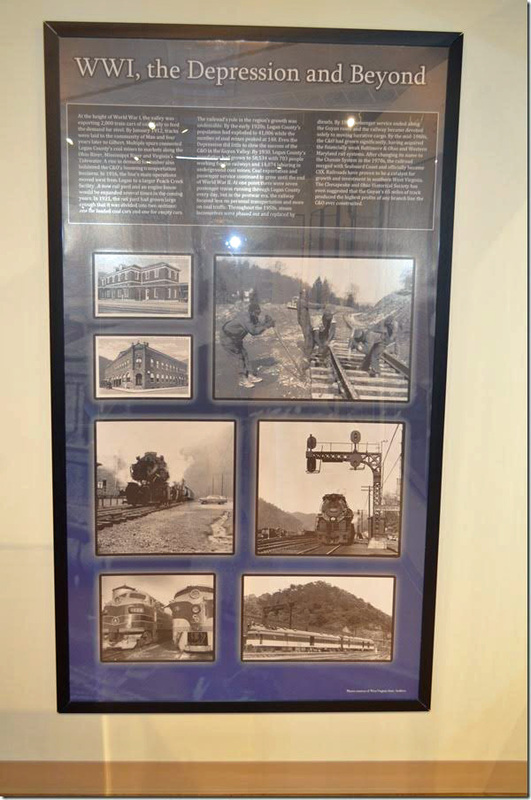 Southern WV and the Railroad poster. 24. WWI, The Depression and Beyond. 25. WWI, The Depression and Beyond. Panel 2. 26. 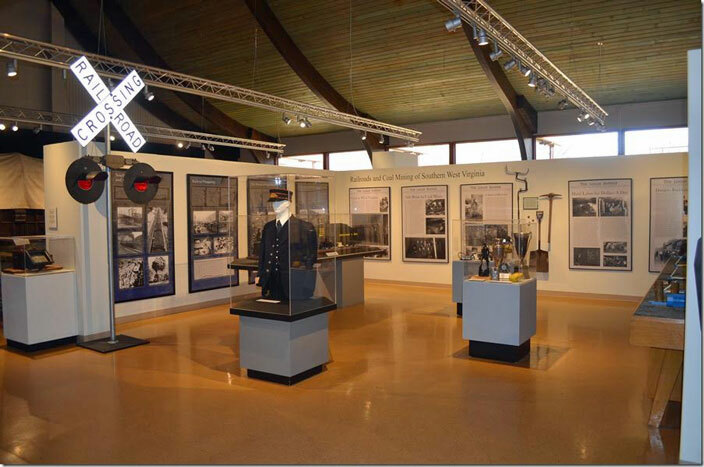 Chief Logan Park Museum interior. 27. 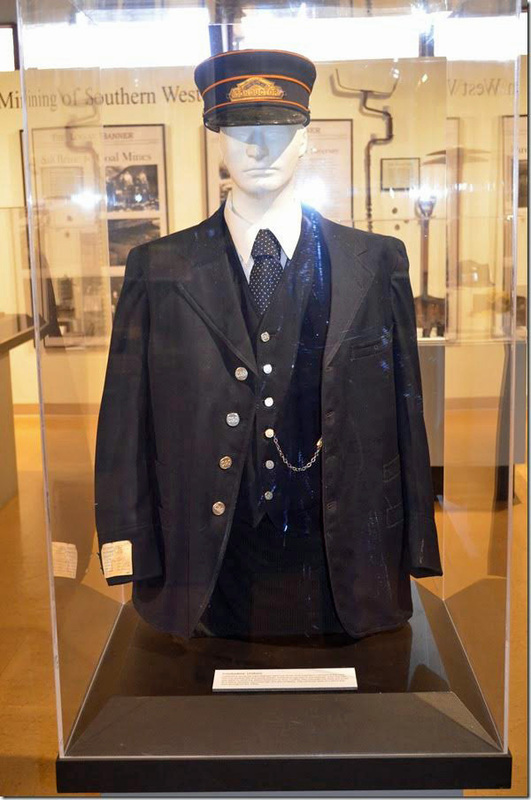 C&O conductor's uniform, close-up. It was a delightful visit, and well worth the hour or so I spent there. 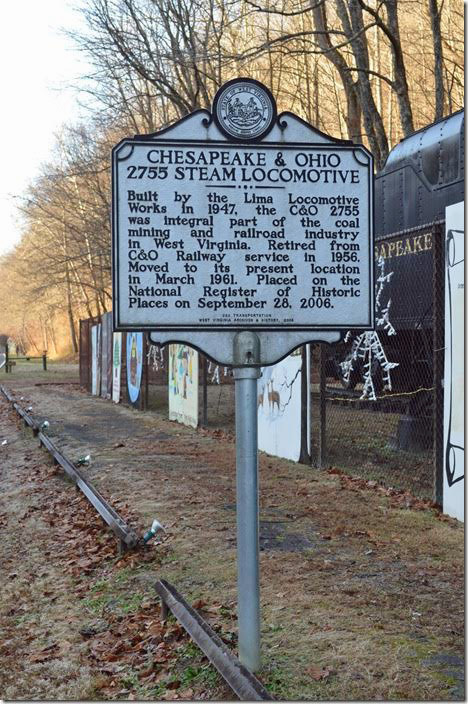 A train that had been switching at Peach Creek Yard had departed, so I headed up Route 10 to Man. 28. 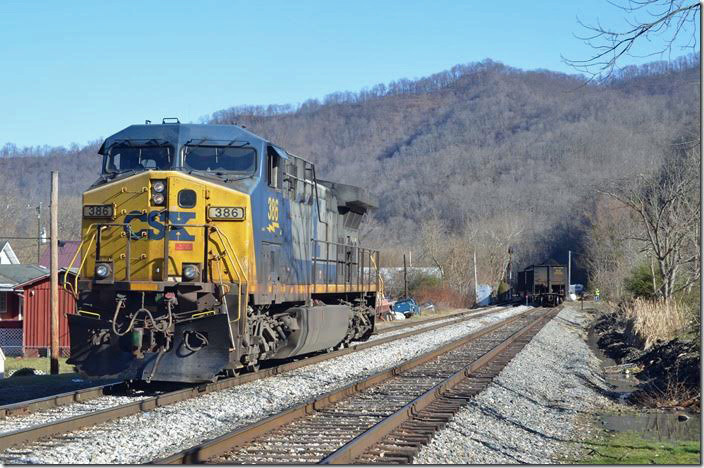 At Lorado WV, I found CSX pusher 745-108 waiting for head end engine 321 to pull under the load-out at Greenbrier Minerals. 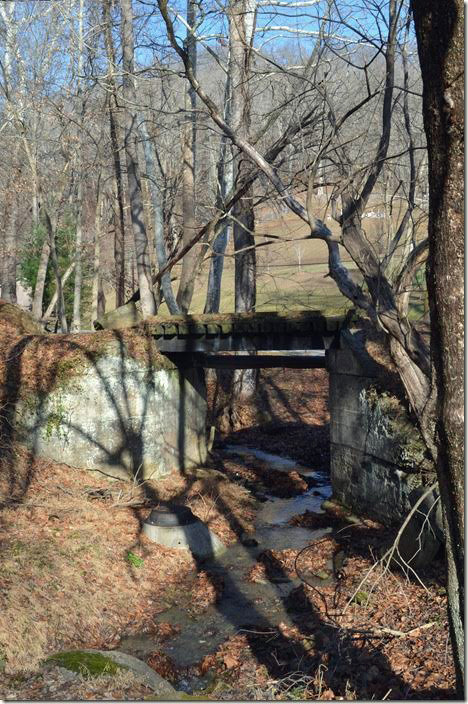 With little prospect in Logan County, I crossed the mountain to the head of Pond Fork in Boone County. 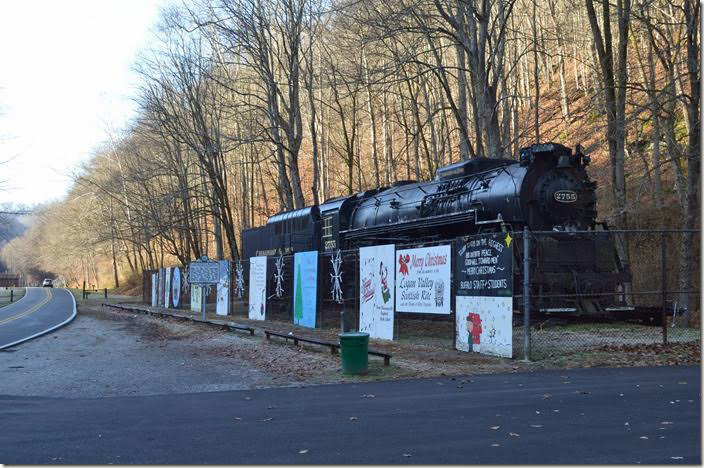 Driving north on WV 85 I found that Blackhawk Mining’s Lick plant was active. Blackhawk’s Wells preparation plant is inactive however. To my knowledge, Lick, Mountain Laurel, and Beth are the only active mines worked out of Danville now. Shifter H840 was leaving Danville Yard for Lick with 75 empties. 29. 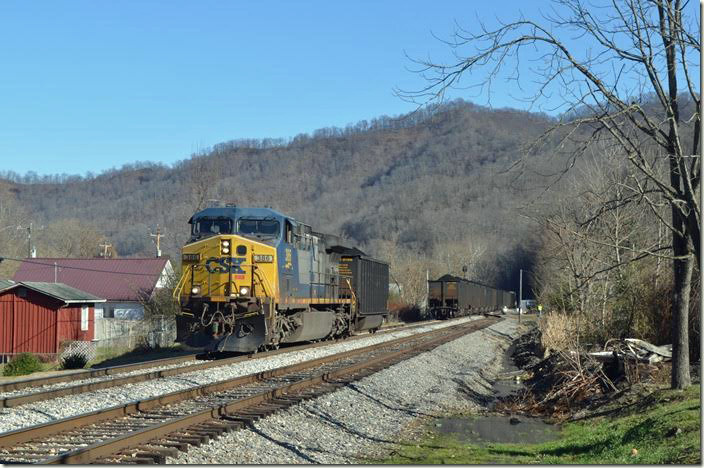 CSX 107-507 pass through Madison WV with the Boone County court house in the background. 30. H840 crosses Pond Fork on bridge 88 at Lanta on their way to Lick. 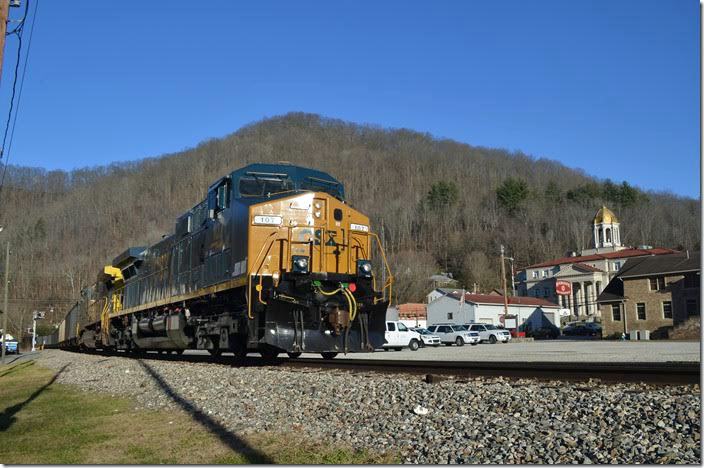 CSX 107-507. Lanta WV. Shadows were getting deep, so I headed home.